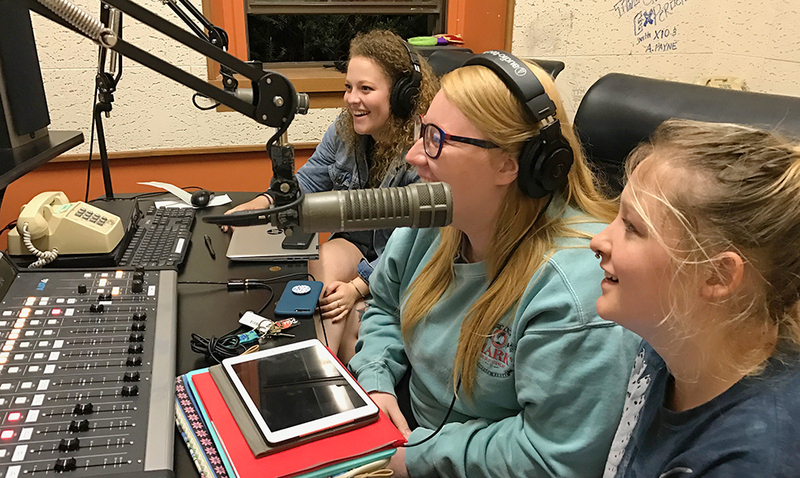 On May 15, Baker University’s radio station, 89.7 KNBU-FM, will no longer be on the air. Instead, it will only be available to be streamed online. The BakerRadio.org website will be constructed during the summer and should be fully functional when classes resume in the fall. When any radio station holds a frequency, it must follow Federal Communications Commission standards. If these standards are violated, stations can be fined in the neighborhood of $10,000 according to Associate Professor of Mass Media Joe Watson. With recent changes in FCC regulations, the risk of violating these standards has gone up, especially for small institutions like Baker. In addition to following FCC regulations, radio stations must also hold licenses. Currently, KNBU-FM holds four different licenses, but because of a change in rules, the number of licenses required might also increase. In the past, KNBU-FM has broadcast many community events on its frequency, including Baker athletic games as well as Baldwin High School’s Friday night football games every fall. According to the student manager of the radio station, Rhonda Applegate, notifying the Baldwin City community of this change will be the biggest challenge. In addition to putting up fliers and informing local businesses, KNBU-FM is currently running sweepers, which are “little commercials” that inform the listeners of the upcoming change, according to Applegate. Furthermore, the radio staff is looking into T-shirts as well as using social media make the change less confusing for the community. Although notifying the community is the most challenging aspect of the change, many actions have happened behind the scenes to make the transition possible. According to Watson, this change is not unique. He said many small institutions like Baker are making this switch, although Watson still feels sentimental. Previously, FCC regulations prohibited cursing and playing explicit music on air. Without these regulations, however, these behaviors are technically allowed but will still not be tolerated on Baker’s Radio.